Categories: France, Imported Wines, Rhône Valley. Tags: Beaumes De Venise, Châteauneuf-du-Pape, Condrieu, Cornas, Côte Rotie, Côtes Du Rhône, Crozes-Hermitage, France, Hermitage, Imported, Red Wine, Rhône Valley, Saint-Joseph, Sweet Wine, White Wine. 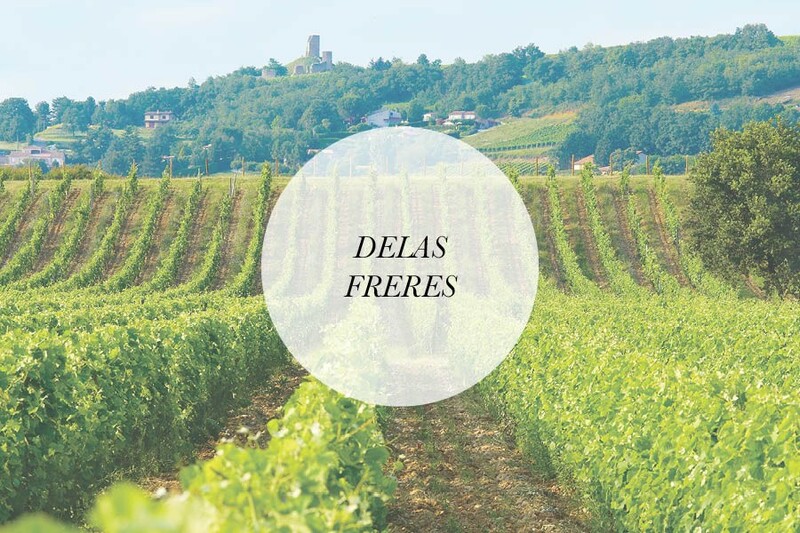 Delas Freres is a winery of tradition and renewal. Founded 160 years ago in the heart of the northern Côtes du Rhône, Delas wines are crafted by a panel of experts headed by winemaker Jacques Grange. Together, the team makes wines that have been heralded for their intensity of flavour and excellent value. Delas maintains a philosophy of preserving the authentic characteristics of each appellation through separate vinification of the fruit from each vineyard. The winery was founded in 1835 when Charles Audibert and Philippe Delas bought Maisons Junique, a 40-year-old winery which they renamed Audibert & Delas. The house's reputation spread quickly worldwide as the winery brought home numerous awards from international competitions, notably a gold medal at Sydney in 1879. After World War II, under Florentin's son Jean and thanks to the widespread apreciation of French wines, the family house experienced rapid growth. Jean visited new export markets, neglected by his father and uncle following the brilliant success of Philippe Delas and Charles Audibert. To ensure a regular supply of the highest quality grapes to satisfy the growing demand, he extended the family holdings by enlarging the Hermitage vineyards. In 1960, when his son Michel took control of Delas Freres, the winery had become one of the major houses in the Northern Rhone. In 1977, the firm of Delas Frères is bought by the Champagne firm of HYPERLINK "http://www.champagne-deutz.com" \t "_blank" Deutz. The winery is re-sited in Saint-Jean-de-Muzols, near Tournon-sur-Rhône, at the foot of the vineyards of Saint Joseph. General management, as well as commercial, marketing and administrative functions are grouped at the HYPERLINK "http://www.champagne-deutz.com" \t "_blank" Deutz premises at Ay, in the Marne area of Champagne. In 1993, both Deutz and Delas Frères became part of the Roederer Group, which decided to preserve their full autonomy in terms of management and commercial policy. In 1996, Fabrice Rosset, VP of the Roederer Group of companies, is appointed Chairman & CEO of DELAS Frères & Champagne DEUTZ. In 1997, Jacques Grange joined Delas as Chief Winemaker and Technical Director. Fabrice Rosset considered he had the man with the expertise and vision that were necessary to carry out the vast transformation of the winery he had decided. Many changes in winemaking and maturing techniques were also made until 2006. 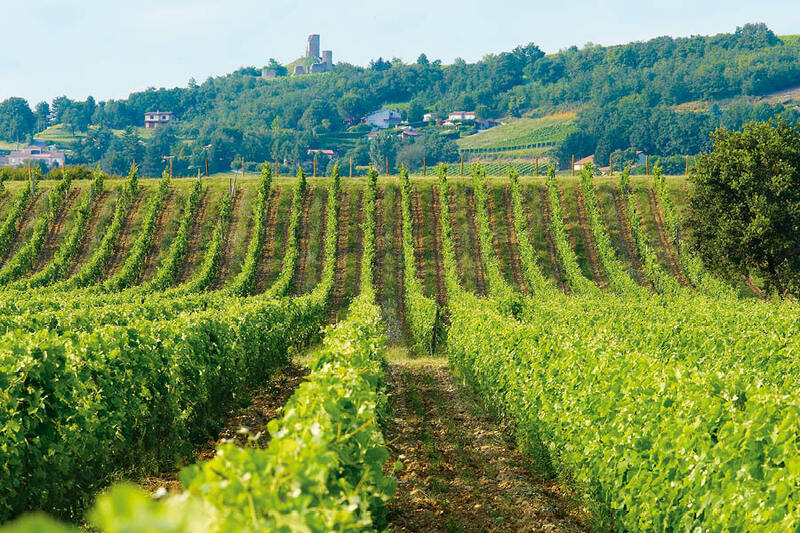 Through patient work on the best “plot selections” (Les Bessards, La Landonne and Sainte Epine), Delas has been developing Top Wines of the Rhone Valley with devoted passion and stringent standards. For those who visit the region, Delas Frères has also set out the specific characteristics of its wide range in a showcase which is a classical example of local stone architecture. The Delas showroom can be found in the Zone Artisanale of l’Olivet, near Saint-Jean de Muzols (07). In March 2006, Delas purchased 18 hectares in the most famous localities of the Crozes-Hermitage appellation.The vineyard is located in the heart of the appellation’s area. Under the expert guidance of its cellar master Jacques Grange, Delas thus perpetuates its heritage and strengthens its attachment to the terroir by developing its first estate wine with the Crozes-Hermitage appellation: “Domaine des Grands Chemins”.